The best way to find out what it’s like to be a Parish or Town councillor is to talk to someone who’s doing it now. Your Parish or Town council will have a website where you will be able to get the names and contact details of the current clerk and councillors, and the dates of their meetings. Council meetings are open to the public and you can go along to a Parish or Town council meeting, speak to one of the councillors and find out what they think of the job they do. By becoming a Parish or Town councillor you become someone your community will look to for help, guidance and support as a community leader with the power to influence decisions for the benefit of the people you serve. 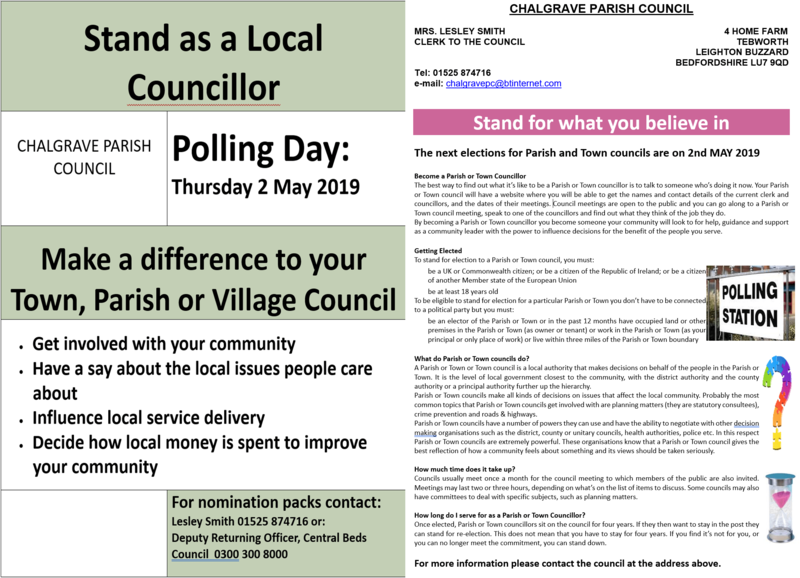 A Parish or Town or Town council is a local authority that makes decisions on behalf of the people in the Parish or Town. It is the level of local government closest to the community, with the district authority and the county authority or a principal authority further up the hierarchy. Parish or Town councils make all kinds of decisions on issues that affect the local community. Probably the most common topics that Parish or Town councils get involved with are planning matters (they are statutory consultees), crime prevention and roads & highways. Parish or Town councils have a number of powers they can use and have the ability to negotiate with other decision making organisations such as the district, county or unitary councils, health authorities, police etc. In this respect Parish or Town councils are extremely powerful. These organisations know that a Parish or Town council gives the best reflection of how a community feels about something and its views should be taken seriously. For more information please see the poster or contact the council at the address below.